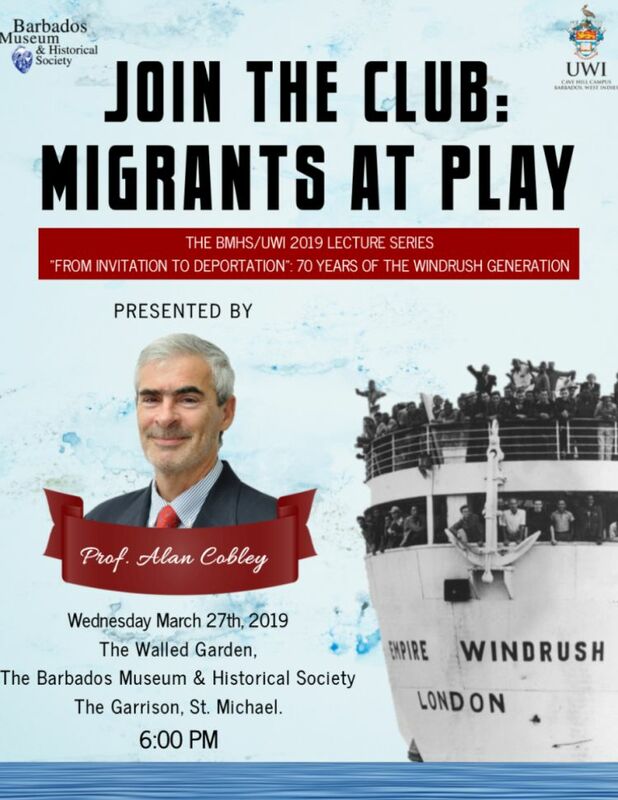 The Barbados Museum and Historical Society's 2019 Lecture Series is entitled From Invitation to Deportation: 70 Years of the Windrush Generation. 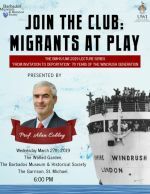 The Lecture Series will feature a roster of panel discussions and lectures starting Mar 20th and continuing every week (usually a Wednesday) until May 15th. 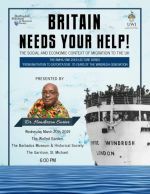 All lectures take place at the Walled Garden Theatre of The Barbados Museum & Historical Society and begin at 6:00 p.m.